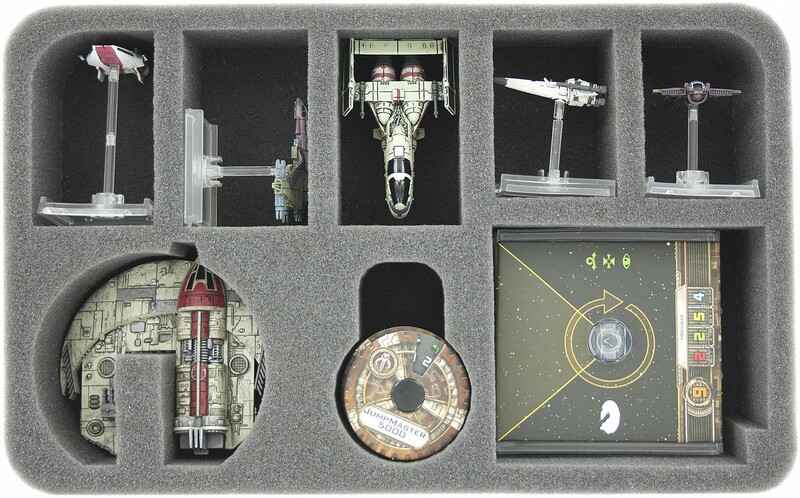 Especially for the Star Wars X-Wing Punishing One made foam tray. In this inlay find a JumpMaster 5000 safe place. 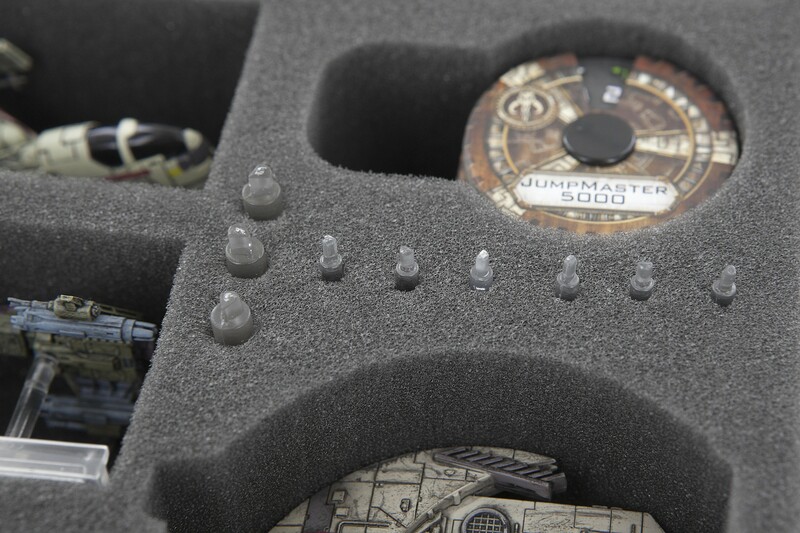 In addition still fit up to five Fighters in the foam tray. 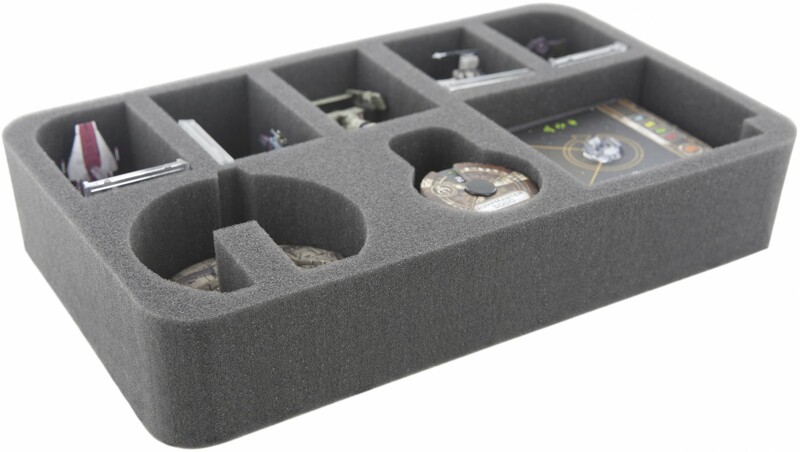 Of course, the foam tray offers even space for accessories. 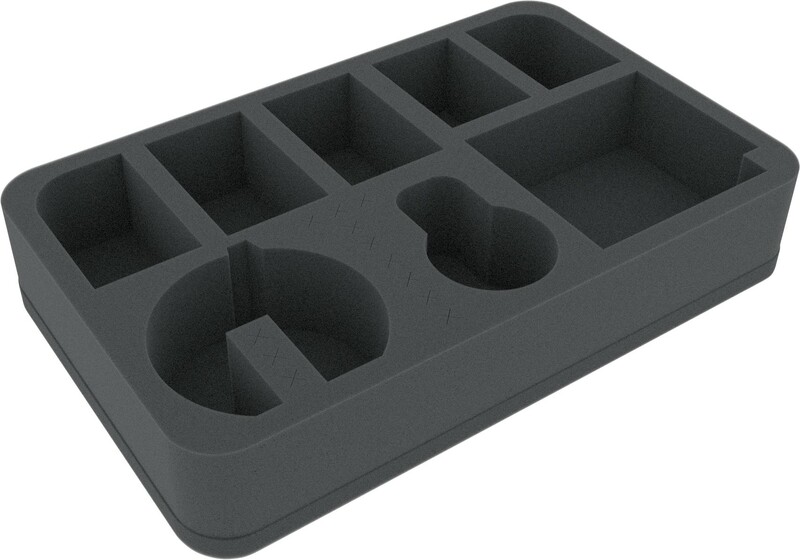 The base stand can be sunk in the designated cross slots.